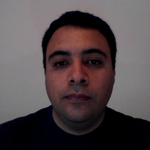 About Adrian: Adrián has been involved in software industry for 15+ years, working both in web and mobile apps. Facebook Developers Circle Guatemala organizer, GDG Guatemala, GuatemalaJS and Nodebots former co-organizer. Currently he leads the Innovation Lab at Galileo University and is a Google Developer Expert(GDE) for Android, IoT and Firebase. Reason for being involved in workshop: I would like tu support the event so more people from the tech community can become speakers. About Ana: Ceci is Mobile Software Engineer at Xoom a PayPal Service where she has Worked on both Android and iOS Apps. She has been developing for mobile for around 6 years. She co-organizes the Google Developer User Group in Guatemala and the Women Tech Maker Event. Reason for being involved in workshop: To show the skills that you need to develop to make a good conference related with technology. About Esdras: I am a person that likes techonology, I work with technology since 1996. Currenty I'm working as a Business Analyst. About Fernando: I have 24 years and 5 of them developing sofware professionally. I have worked on backend and frontend but now i am specialized on Android applications and Firebase usage. You need to present your identification on the reception where they are going to give you a pass. Yes there are three elevators.